Store Championship season is in full swing and some major tournaments are on the horizon in the United States. North American Championships at GENCON are just around the corner as of this writing and US Nationals at the NOVA Open are just a month after that. The last errata updates for Star Wars Armada was a pretty substantial change for the competitive scene. There are new considerations to keep in mind along with some old ones coming back into play. If you've been following Shmitty and I's Sato escapades, you'll know that it's worth taking a look at some disfavored commanders once more. They may have quietly become a good deal better with the changes. Some smaller changes, such as those to Gallant Haven and Yavaris, have caused some minor changes in tactics. While significant in rebalancing some of the most dominant fleet builds, they didn't cause any major changes in the overall makeup of the game’s meta. For the largest impact on the meta, you have to look to the changes to flotillas in the tournament regulations. Despite their diminutive stature, Gr-75 Transport and Gozanti Cruisers had an outsized impact on the game, leading to a pair of significant changes. With that all that in mind, it's time for a nice hard look at what that has meant for the meta. First of all, you’re limited to a maximum of two flotillas in a standard tournament list. On the face of it, this explicitly put a stop to the “empty activation” tactics that were becoming a bit too prominent. That’s good news for players that prefer large numbers of small combat ships, such as CR90s, Raiders, and Hammerheads. Fleets composed exclusively of these ships, also known as “MSU,” rely pretty heavily on having activation advantage over their opponents. It’s no surprise, then, that such fleets started to disappears from the top tables of Regional tournaments over the course of waves five and six as flotillas became used in higher and higher quantities to give large ships the same activation advantages of MSU combined with the burst punching power of the large ship. Such tactics are still viable to a degree. A Rebel player could buy a lot of cheap Hammerheads to pad activations for Defiance, for example. 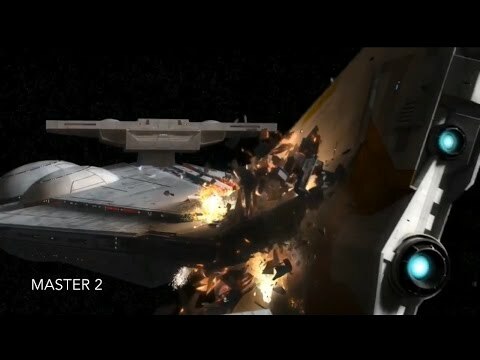 However, with the hard cap to flotillas means MSU can once again be fairly confident they will be able to out activate large ships by one or two ships. The flotilla hard cap also had another less obvious impact, this one on the squadron game. Before the errata, squadron heavy fleets used flotillas to a heavy degree because they were such a great source of cheap squadron commands. Since it was easy to activate as many squadrons as you needed, squadrons with the Rogue keyword went out of style. With the hard cap, squadron heavy fleets have a harder time bringing enough squadron commands. This is further reinforced by the changes to Relay, making the limited squadron commands available harder to reach the squadrons that need them. Enter Rogues once more. They were tailor made for this exact situation. Hera Syndulla, in particular, has been seeing the table a lot more, often acting as a defacto third flotilla to help squadrons too far extended from their carriers stay in the fight. The second change to flotillas was also aimed at squadron heavy fleets, though this one was forthright and bluntly aimed at such fleets. The game now immediately ends when all non-flotilla ship are destroyed, also known as “tabling.” Fleets used to be able to soldier on with a flotilla or two and 134 points of squadrons, usually at a minimum causing the game to remain close and often times pulling out wins despite having no ships on the table that could actually shoot at other ships. That same situation would now be reversed, resulting in a significant loss for the the squadron heavy player. It brings back the risk associated with playing squadron heavy, which offsets squadrons’ inherent flexibility. It is feasible for a player to take light (or even no) squadrons and attempt to rush a squadron heavy player’s carriers, something that wasn’t really feasible with flotillas hanging out in corners away from the main fight. With these changes, the traditional paradigm of fleet builds has started to look a quite a bit different. Though Nathan Coda won Armada’s World Championship with only two combat ships (Yavaris and an MC80 Command Cruiser) and two flotillas, it was highly susceptible to getting tabled. Many a player attempting to replicate Nathan’s success has found that out the hard way. Nathan himself was only a single hull point from getting tabled in the final game of his swiss rounds. While he was technically running “Rieekan Aces,” a build that has been dominant for some time, his squadron mix was considerably different from previous incarnations. His inclusion of Hera was of particular note. Nathan’s not the only one remixing old builds. While you’ll still see some players play with “2+2” squadron heavy fleets, many others have gone toward three combat ships. European champion Piotr Swietlicki, or example, took a rather traditional mix of squadrons. However, his ships were Yavaris, a Pelta, and a Hammerhead, allowing him to keep at least one ship at a safer distance and lower the risk of tabling. To quickly summarize what I wrote before, I found the reason Sato was suddenly better than expected is because he doesn’t need to worry about killing flotillas. You can concentrate on building for long range black critical effects, ignore flotillas, and go for the major combat ships to get a tabling. It also features of medium squadron wing, that many competitive players would probably scoff at. True, it's not going to outright win a squadron on squadron fight. But that's not what Sato squadrons need to do. All they need to do is survive and stay mobile. Utilizing obstacles, Han's signature ability to shoot first, his Grit, and Tycho extremely slippery nature, they got work done, allowing the ships to deliver long range ACM shots with ruthless efficiency. The possibilities right now are quite expansive. Another local player here in NOVA won a store championship with a perfect 30 tournament points using Darth Vader as her commander, a Cymoon, two Arquitens, and no squadrons. I've heard word from Chicago that their first store championship was won by an Imperial player running just 2 ships, enabled by the still-underutilized Governor Pryce. Meanwhile, Atlanta was just ransacked by a Raddus blitz, and my buddy Shmitty cleaned up with Sato as well. So do yourself a favor and start experimenting. Maybe that old General Cracken fleet with CR90s and lots of YT-2400s will work for you again. Maybe a Mon Mothma MC30 swarm will terrorize your local tables anew. I'm going with a bold prediction for NOVA and GENCON: a squadronless fleet will win at least one of these two tournaments. In the humble opinion of this fan, Armada has never been in a better place, with any number of builds far more viable than the prevailing internet wisdom says. So get out there and find the fleet you love flying. Do you have that Darth Vader Cymoon list, the Chicago list, or the Raddus list from Atlanta? I'd be curious to see what they are.